At a protest last year at New York University, students called attention to their mounting debt by wearing T-shirts with the amount they owed scribbled across the front — $90,000, $75,000, $20,000. On the sidelines was a business consultant for the debt collection industry with a different take. 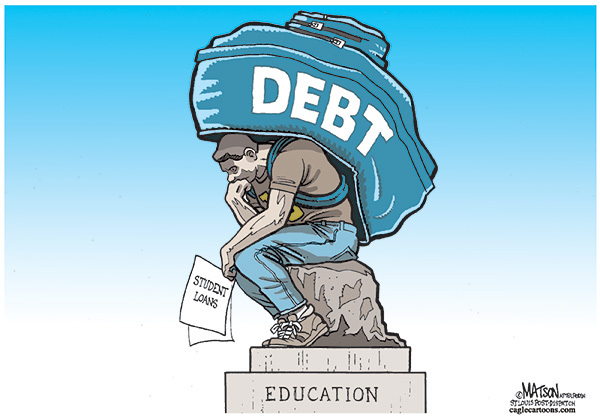 Though Mr. Ashton says his column was meant to be ironic, it nonetheless highlighted undeniable truths: many borrowers are struggling to pay off their student loans, and the debt collection industry is cashing in. As the number of people taking out government-backed student loans has exploded, so has the number who have fallen at least 12 months behind in making payments — about 5.9 million people nationwide, up about a third in the last five years. In all, nearly one in every six borrowers with a loan balance is in default. 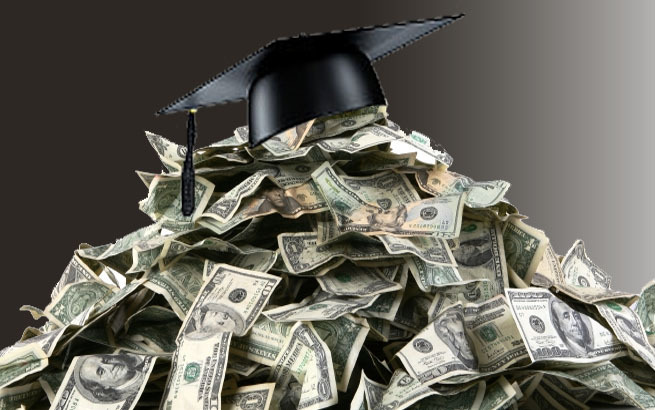 The amount of defaulted loans — $76 billion — is greater than the yearly tuition bill for all students at public two- and four-year colleges and universities, according to a survey of state education officials. In an attempt to recover money on the defaulted loans, the Education Department paid more than $1.4 billion last fiscal year to collection agencies and other groups to hunt down defaulters. Hiding from the government is not easy. Unlike private lenders, the federal government has extraordinary tools for collection that it has extended to the collection firms. Ms. Cordeiro has already had two tax refunds seized, and other debtors have had their paychecks or Social Security payments garnisheed. Over all, the government recoups about 80 cents for every dollar that goes into default — an astounding rate, considering most lenders are lucky to recover 20 cents on the dollar on defaulted credit cards. While the recovery rate is impressive, critics say it has left the government with little incentive to try to prevent defaults in the first place. Though there are programs in place to help struggling borrowers, the companies hired to administer federal student loans are not paid enough for lengthy conversations to walk borrowers through the payment options, critics say. One consequence is that a government program called income-based repayment has fallen short of expectations. Under the program, borrowers pay 15 percent of their discretionary income for up to 25 years, after which the rest of their loan is forgiven. But participation has lagged because borrowers are either not aware of the program or are turned off by its complexity. For borrowers, the decision to default can be disastrous, ruining their credit and increasing the amount they owe, with penalties up to 25 percent of the balance. Ms. Cordeiro, a single mother, dropped out of Everest College, a profit-making school, 16 credits shy of a bachelor’s degree. She said she could not get any more loans to finish. “I get these letters about defaulting, and I get them and throw them in the bin,” she said. Jake Brock, who graduated in 2008 from Keuka College, a private liberal arts school in upstate New York, defaulted in May on a federally guaranteed loan of $8,000. With penalties and accumulated interest, the loan balance is now $13,000, he said. “I just fell behind and couldn’t dig myself out,” said Mr. Brock, who is 29 and owes a total of $100,000 in student loans. There is no statute of limitations on collecting federally guaranteed student loans, unlike credit cards and mortgages, and Congress has made it difficult for borrowers to wipe out the debt through bankruptcy. Only a small fraction of defaulters even tries. “You are going to pay it, or you are going to die with it,” said John Ulzheimer, president of consumer education at SmartCredit.com, a credit monitoring service. Business is booming at ConServe, a debt collection agency in suburban Rochester. The company recently expanded into a neighboring building. The payroll of 420 is expected to double in three years. “There is great opportunity,” said Mark E. Davitt, the company’s president and founder. Where some debt collection firms have made their fortunes collecting on delinquent credit cards or hospital bills, ConServe is thriving because of overdue student loans, a large majority of its business. 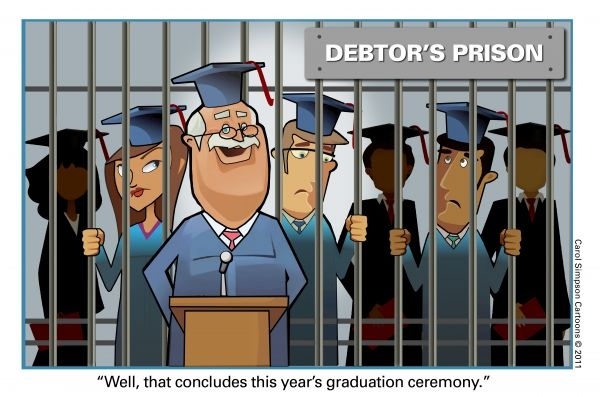 With an outstanding balance of more than $1 trillion, student loans have become a silver lining for the debt collection industry at a time when its once-thriving business of credit card collection has diminished and the unemployment rate has made collection a challenge. To recoup unpaid loans, the federal government, private lenders and others have turned to collection agencies like ConServe. Mark Russell, a mergers and acquisition specialist, writing in the same trade publication as Mr. Ashton, the consultant at the N.Y.U. 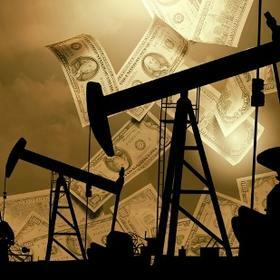 protest, suggested student loans might be a “new oil well” for the accounts receivable management industry, or ARM, as the industry is known. “While the Department of Education debt collection contract has been one of the most highly sought-after contracts within the ARM industry for years, I believe it is now THE most sought-after contract within this industry, centered within the most sought-after market — student loans,” Mr. Russell wrote last October. In 2010, Congress revamped the student loan program so that federal loans were made directly by the government. Before that, most loans were made by private lenders and guaranteed by the government through so-called guarantee agencies. Of the $1.4 billion paid out last year by the federal government to collect on defaulted student loans, about $355 million went to 23 private debt collectors. The remaining $1.06 billion was paid to the guarantee agencies to collect on defaulted loans made under the old loan system. That job is often outsourced to private collectors as well. The average default amount was $17,005 in the 2011 fiscal year. Borrowers who attended profit-making colleges — about 11 percent of all students — account for nearly half of defaults, while dropouts were four times as likely as graduates to default. 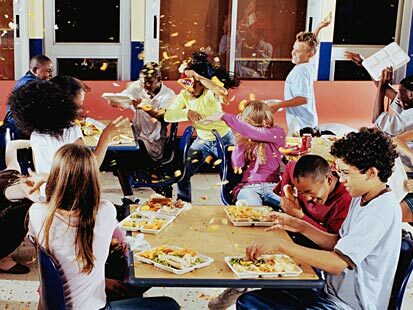 A loan is declared in default by the Department of Education when it is delinquent for 360 days. Borrowers are most often declared in default when they cannot be found. That is when the collection agencies take over. While some in the industry, like Mr. Ashton, worry about public revolt over aggressive collection tactics, there is no holding back at this point. At ConServe, in a room of cubicles with college pennants lining the walls, collectors comb through databases and public records hunting for contact information for borrowers. If ConServe reaches a borrower who refuses to cooperate, the company considers garnisheeing wages or withholding a government check, which requires approval from the Department of Education. Dwight Vigna, director of the department’s default division, says the government does not give up easily. If a vendor like ConServe has not found a borrower in six months, the department turns the case over to another collection agency. In fiscal 2011, the department wrote off less than 1 percent of its loan balance, for such things as death or disability of a borrower. “We never throw anything away,” Mr. Vigna said. Arthur Chaskin, a disabled carpenter, can attest to the government’s long memory. Since he left college in the late 1970s, Mr. Chaskin has largely ignored his student loans — until June, when a federal judge ordered him to turn over $8,200. Mr. Chaskin had borrowed $3,500 in federally guaranteed student loans to attend Northwestern Michigan College, a community college. He did not graduate. The federal government sued him in 1997, but over the next 15 years he made only five payments. Last January, a lawyer in Michigan working on contract for the government was alerted to a credit check for Mr. Chaskin. The lawyer filed a garnishment order and discovered a brokerage account with nearly $20,000 that Mr. Chaskin said he had opened with disability checks. By the time the government caught up with him, Mr. Chaskin owed more than $19,000 in accumulated interest and penalties, but the judge reduced the amount to $8,200 after Mr. Chaskin pleaded for a break. “If you wait long enough, you catch people when their guard’s down,” said the lawyer, Charles J. Holzman, who was rewarded with more than 25 percent of Mr. Chaskin’s payment. Government officials estimate they will collect 76 to 82 cents on every dollar of loans made in fiscal 2013 that end up in default. That does not include collection costs that are billed to the borrowers and paid to the collection agencies. While the government’s estimates take into account the uncertainty of collecting money over long periods, some critics say they don’t go far enough. A 2007 academic study, for instance, estimated that the recovery rate was closer to 50 cents on the dollar. “The reporting standards that the government imposes on themselves are far weaker than what they require of private institutions,” said Deborah J. Lucas, a finance professor at the Massachusetts Institute of Technology and an author of the study. Over all, collections on federally backed student loans were $12 billion in the last fiscal year, 18 percent higher than the previous year. Of that, $1.65 billion came from seizures of government checks like tax returns and $1.01 billion was collected by garnisheeing borrowers’ wages. More than $8 billion of defaulted loans, however, were consolidated or rehabilitated. Some borrowers say they do not see a path out of default, because they are sick, unemployed or facing so much debt they cannot imagine any way to pay it off. Some have defaulted on private student loans, too. Patrick Writer of Redding, Calif., received a certificate in computer programming in 2008 from Shasta College, a community college. But he graduated in the midst of the financial crisis and has not been able to find a job as a programmer. He defaulted on $12,000 in federally backed loans in 2009. “If you can’t make your utilities and your rent, your student loan payments are almost goofy, inconsequential,” said Mr. Writer, who is 57. But Mr. Writer said he had come to realize what it meant to have a student loan that was guaranteed by the federal government. “It’s the closest thing to debtor prison that there is on this earth,” he said. Jill Shockley, 36, of Rockford, Ill., owes more than $50,000 in federally guaranteed and private student loans, some of which are in default. A nursing school dropout, she said her loan servicer, Sallie Mae, asked her to come up with $600 a month to keep three of her federal loans from going into default. But she said she did not have enough money. On paper, there are few good reasons struggling borrowers should go into default, or stay there, since there are many programs to help them keep up with payments. In addition to income-based repayment, there is forbearance for temporary financial woes and different types of deferment for issues like unemployment, military service and economic hardship. But the challenge of creating the right incentives — and getting collectors and debtors to embrace them — has bedeviled Congress and the Department of Education. Critics say the result has often been contradictory incentives that provide little help to struggling borrowers. For instance, loan servicers are paid $2.11 a month for each borrower in good standing, but only 50 cents a month for borrowers who are seriously delinquent, too little to devote much time to them. Guarantee agencies are paid a default aversion fee, equal to 1 percent of the loan balance, if they prevent a borrower from going into default. But the same agencies get paid much higher fees for collecting or rehabilitating a defaulted loan. And debt collectors are rewarded primarily for collecting as much as possible, not for making sure a borrower can afford the payments, critics say. Introduced in 2009, income-based repayment was supposed to help change that by allowing borrowers with high levels of debt but modest incomes to make relatively small payments over a long term. But many borrowers were never told about the income-based option, and many others have been frustrated by the onerous requirements. So far, 1.6 million borrowers have applied for income-based repayment; 920,000 are active participants and another 412,000 applications are pending. Education officials say there are changes in the works that could help struggling borrowers and perhaps reduce the default rate, which they attribute to the sluggish economy and dismal results among profit-making colleges. Under proposed regulations, debt collectors would be required to offer borrowers an affordable payment plan. And, the department vows to do a better job of publicizing income-based repayment, including telling borrowers about the plan before they leave college. In addition, borrowers will be able to apply for income-based repayment online rather than going through their loan servicer. Monthly payments will be reduced to 10 percent of discretionary income, down from 15 percent. But efforts to change the incentive structure for guarantee agencies have stalled. And the Obama administration’s efforts to impose new regulations on profit-making colleges were initially watered down and then significantly weakened by a federal court judge. Lindsay Franke, of Naugatuck, Conn., is among the borrowers taking advantage of income-based repayment. While her monthly payment is now lower, Ms. Franke, who is 28 and has a master’s degree in business administration from Albertus Magnus College, said the program had not changed a crushing reality: she still owes too much money and makes too little to pay it off. A marketing coordinator for a law firm, she filed for bankruptcy last year because she could not afford her mortgage, car payment and student loans. She lost the house, but still owes $115,000 in student loans, both private and federal. Under income-based repayment, she pays $325 a month on her federal loans; she also pays $250 a month on her private loans. “I will never have my head above water,” Ms. Franke said. Immersing technology in the classroom and beyond into the globe!